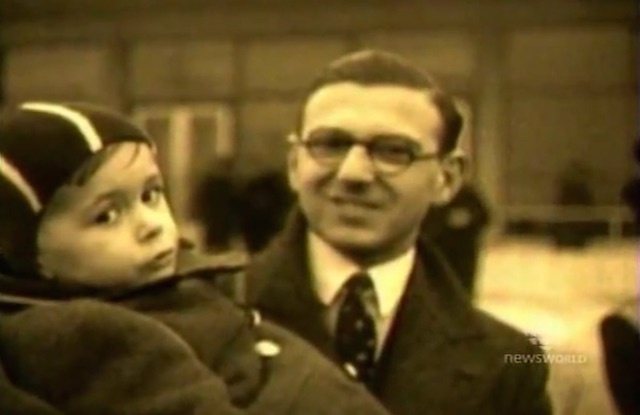 70 years ago as troops from Nazi Germany marched into Czechoslovakia, the British diplomat Sir Nicholas Winton transported 669 Jewish children aboard eight trains to England rescuing them from almost certain death. This week some of the people whose lives he saved are embarking on a journey of remembrance between Prague and London, retracing their original route to safety aboard a special steam train to celebrate Sir Nicholas’s 100th birthday. One of the children Winton saved is the veteran CBC News Anchor Joe Schlesinger, with whom I worked in my own TV news career in Washington, DC. 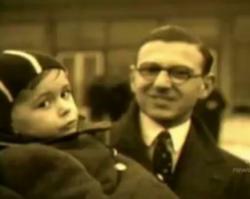 Joe tells his story (similar to so many of the other 669 who never saw their parents agina) as he travels with Winton back to Czechoslovakia for a special audience with Queen Elizabeth. Watch his report on YouTube.